Op het hoofakntoor Ikea België in Zaventem werd in de cafetaria gekozen voor een levende plantenwand. 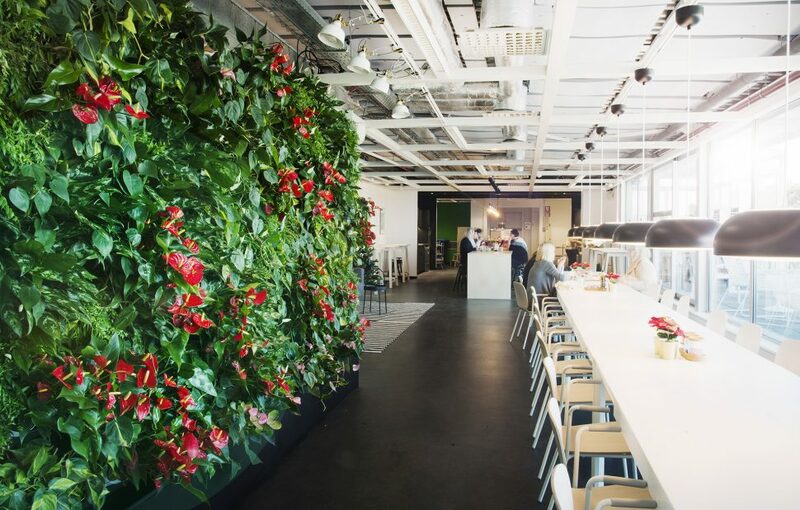 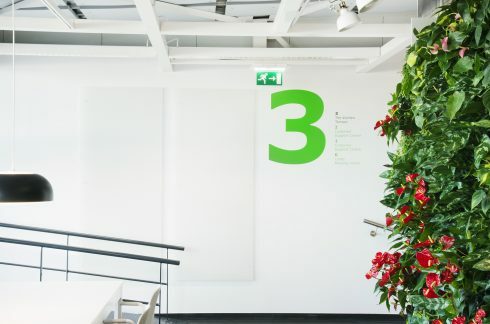 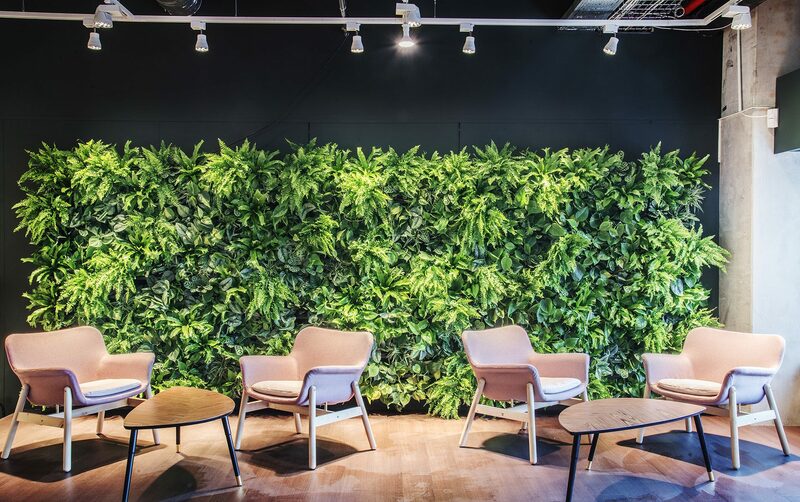 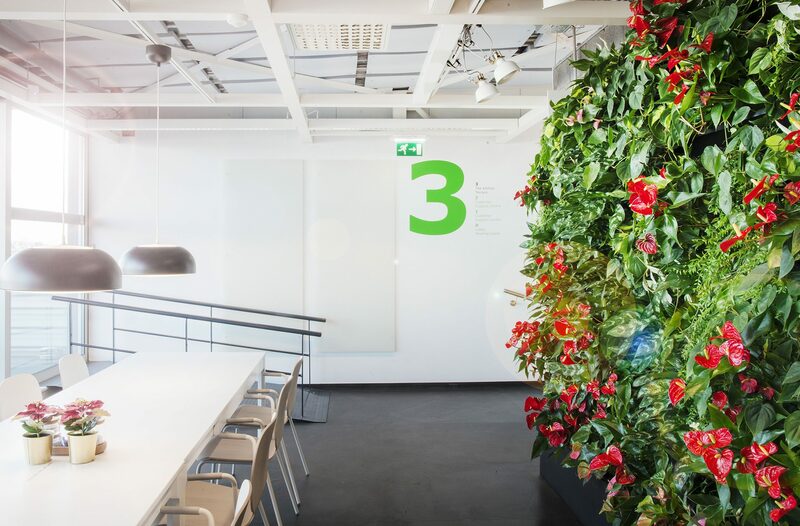 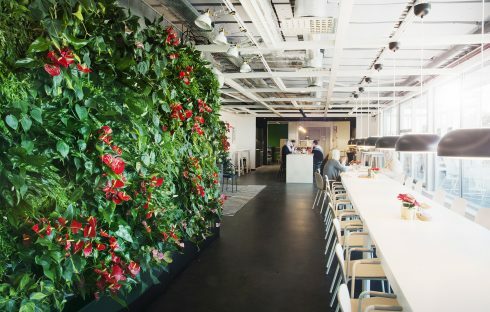 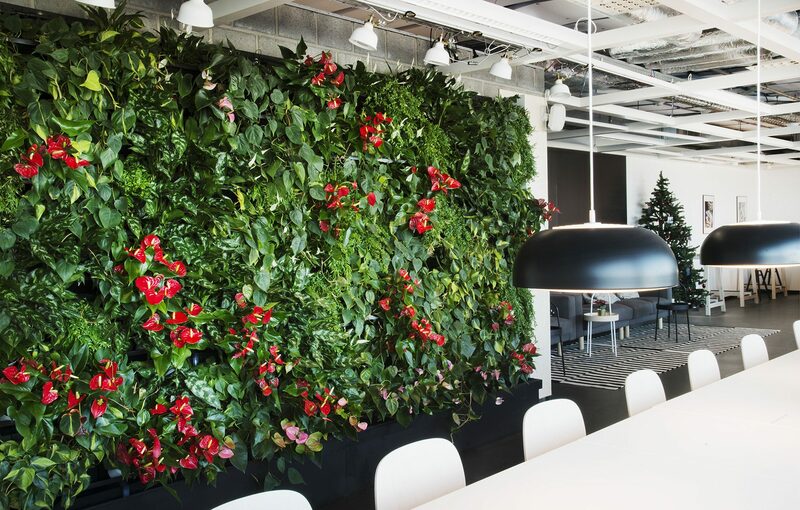 For Ikea Zaventem Mosmuur installed a self-supporting vertical green wall with 210 plants, of which a whole part comes from the Ikea range itself. The plants are provided with the necessary water by means of overflow bins, collection tray and feed pump. 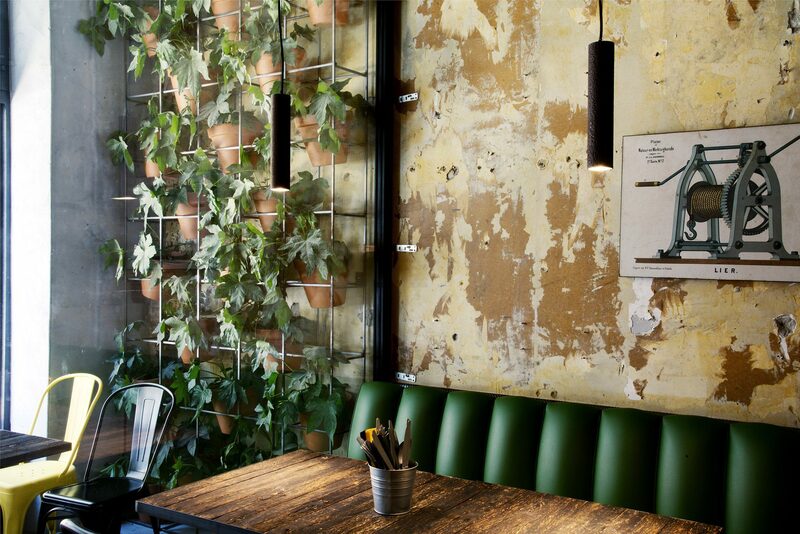 The ‘Växer’ lamps from the Ikea range provide extra information for the plants. 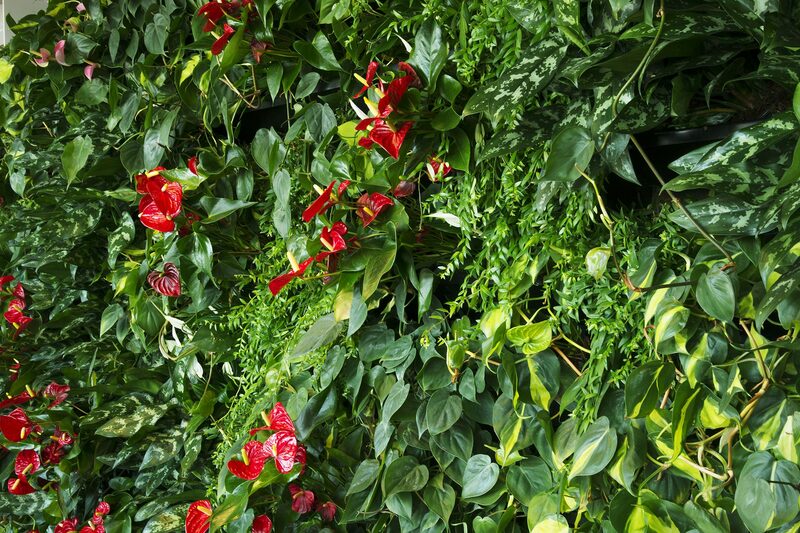 The entire system, measuring 5 meters by 2.5 meters, was built up in 1 day. 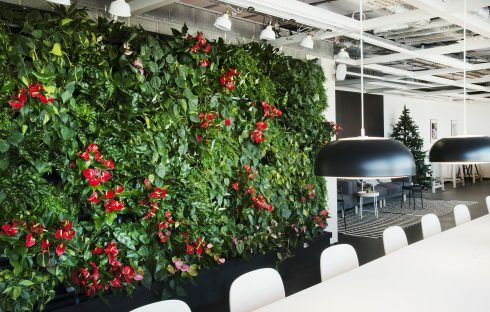 An extra wall has already been ordered!